NOTE: A version of this article was fist published on The Fifth Estate on 6 December. New techniques and substitutes are now available or up-and-coming to reduce the environmental impact of cement production – the third-most polluting industry in terms of greenhouse gas emissions behind chemicals/petrochemicals and iron and steel. Last month Nature Geoscience journal published research that claimed an average of 42 per cent of greenhouse gas emissions associated with the creation of cement are recouped from the atmosphere once the concrete is in situ. This is good news, if true, but work is still needed to reduce the carbon footprint of cement in order to prevent disastrous global warming, and the opportunity exists to turn cement from climate change villain to climate change hero by making it carbon negative – that is, absorbing more carbon dioxide from the atmosphere than was used to produce it. This article examines the nature of cement and concrete, ways to reduce the impact of its present production processes, and novel substitutes and means of production that, if successful at scale, will eradicate greenhouse gas emissions from its lifecycle. All in all, this adds up to around 63 ways to cut the global warming impact of cement. Concrete is made from varying proportions of coarse aggregate bonded with cement that hardens over time. Most concretes used are lime-based concretes made from calcium silicate, such as Portland cement. The main ingredient is limestone or calcium carbonate (CaCO3). Portland cement is made by heating the raw materials including the limestone firstly to above 600°C and then to around 1450°C to sinter the materials. This emits carbon dioxide and produces calcium silicate ((CaO)3·SiO2). When it is turned into liquid cement with the addition of water and exposed to the air it absorbs carbon dioxide again, to reform into calcium carbonate (CaCO3), and hardens. The material is vital to modern construction and ubiquitous; the massive ready-mix concrete industry, the largest segment of the cement market (a staggering 4.3 billion tonnes a year produced), is worth over $100 billion a year. Most of the greenhouse gas emissions associated with cement production arise because its production requires very high temperatures, but there are also significant emissions associated with mining and transportation. Embodied carbon dioxide of cement according to production method. Source: Specifying Sustainable Concrete from The Concrete Centre. The International Energy Agency (IEA) estimates the global cement industry could save between 28 per cent and 33 per cent of total energy use by the adoption of best practice commercial technologies. So what are these? 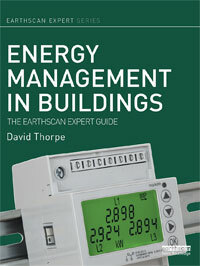 Best practice involves energy efficiency savings in the production and supply chain. These could result in savings of between 60 Mt CO2/year (at the low end) and 520 Mt CO2/year, according to the IEA. 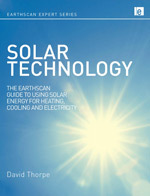 One of the most effective techniques is heat recovery and reuse, but this remains relatively unexploited. Waste Heat to Power is one form of heat recovery and reuse. The high temperatures associated with cement production can also be used to generate steam that is then used in steam turbines. This approach has been widely used in China, which hosts over 700 installations in the cement industry. This web-based tool is based on MS-Excel and has been developed to analyse environmental impacts of production of concrete and its constituents (such as cement, aggregates, admixtures, and supplementary cementitious materials). The tool is not a conventional database of inventory of resources (materials, energy, and water) and emissions from manufacturing that only considers direct impacts, for example, only tailpipe emissions during transportation of concrete materials or emissions from electricity generation. In GreenConcrete, the supply chain impacts of each process during the production of concrete and its materials are evaluated. This makes it possible to analyse where the savings can be generated the most and what technological improvements to make. Primary energy used (in the form of fuel and electricity) throughout the production and transportation processes is one of the main environmental impacts analysed as part of the study. Materials substitution, for example the addition of wastes and geo-polymers to clinker, can reduce CO2 emissions from cement manufacture and save energy. Clinker may be blended with alternative materials like blast furnace slag, fly ash from coal fired power plants and natural pozzolans. Use of granulated slag in Portland cement may increase energy use in the steel industry, but can reduce both energy consumption and CO2 emissions during cement production by about 40 per cent. This EnergyStar guide for energy and plant managers, Energy efficiency improvement and cost saving opportunities for cement making, outlines over 50 specific energy efficiency opportunities for all stages of the different production processes of different types of cement. 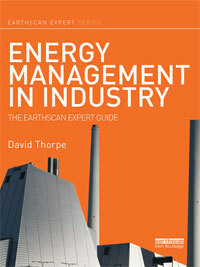 This includes over fifty changes to production methods such as: using high-efficiency roller mills, energy management and process controls, kiln shell heat loss reduction, use of waste fuels, conversion to pre-heating for the kiln, pre-calciner kilns, better maintenance and optimisation of parts and systems, oxygen enrichment, high efficiency motors and variable speed drives, using steel slag in kiln and much more. Savings can also be made at the end of life of a concrete structure. Currently only 50 per cent of concrete is recycled for use in new building projects (compared to up to 99 per cent for structural steel). Down-cycling does help to reduce the use of aggregates, but does not help to reduce the supply of materials needed for new concrete. There are also several candidates for substitutes for Portland cement that have less of an impact on global warming. This involves the accelerated carbonation of magnesium silicates instead of calcium carbonates under high temperature and pressure, with the resulting carbonates then heated at low temperatures to produce magnesium oxide, with the CO2 generated being recycled back in the process. The use of magnesium silicates eliminates the CO2 emissions from raw materials processing. In addition, the low temperatures required allow the use of fuels with low energy content or carbon intensity (biomass), thus potentially further reducing carbon emissions. As with Portland cement, production of the carbonates absorbs carbon dioxide by carbonating part of the manufactured magnesium oxide using atmospheric/ industrial CO2. In recent years it was hoped that the claim of manufacturers Novacem (a spin-out company from Imperial College London) – that making one tonne of cement using this method absorbs up to 100kg more CO2 than it emits, making it a carbon-negative product – could revolutionise the industry. However, there have been problems associated with trying to scale up production and the company became insolvent in 2013. Calera’s process involves the capture of raw flue CO2 gas from industrial sources and converting it into calcium carbonate cement-based building materials. By converting the gas into a solid form of calcium carbonate it permanently sequesters the CO2. Commercial demonstrations have included the capture of flue gas from power plants and burning coal, without concentrating the CO2. The flue gas is contacted in a scrubber with an aqueous alkaline solution that effectively removes the CO2 and a calcium source that results in the formation of the special calcium carbonate product that is then dried to a free flowing powder. It requires sources both of alkalinity and calcium. Some industrial waste streams contain both, like calcium hydroxide (Ca(OH)2). Another option is separate streams, one for alkalinity, such as sodium hydroxide (NaOH), and one for calcium, like calcium chloride, which can be naturally occurring or found in the waste streams of existing chemical processes. The result is a high strength material that can be used without any other cement or binder system to make concrete products from countertops, plant holders and benches to fibre cement board sheets on a commercial line, exceeding strength requirements but of a lighter weight than many existing cement board products. SOLIDIA cement is a related product and process that cures concrete with carbon dioxide, say, from flue gases, and is currently at commercialisation stage. It requires less limestone as a result and can therefore be fired at lower kiln temperatures. It requires less energy and generates around 30 per cent less greenhouse gases than ordinary Portland cement. Celitement is a cement substitute produced at temperatures below 300°C under a process developed by the German Karlsruhe Institute of Technology KIT. It will therefore require less energy and emit fewer greenhouse gases. Celitement is calcium hydrosilicate, a raw material already containing calcium (CaO) and silicon (SiO2), though in the wrong ratio. It must be processed using an autoclave under saturated steam conditions, grinding and the addition of water. All of this emits around 50 per cent less carbon dioxide than Portland Cement. But it is still at the R&D stage. Alkali activated and “geopolymer” cements gain their strength from chemical reactions between a source of alkali (soluble base activator) and aluminate-rich materials. The source of the aluminate-rich materials will be an otherwise waste product – fly ash, municipal solid waste incinerator ash (MSWIA), metakaolin, blast furnace slag, steel slag or other slags, or other alumina-rich materials. They tend to have lower embodied energy/carbon footprints than Portland cements (up to 80-90 per cent, but this is dependent on the source of the aluminate-rich material). Production is now covered by a standard: PAS 8820:2016 Construction materials. 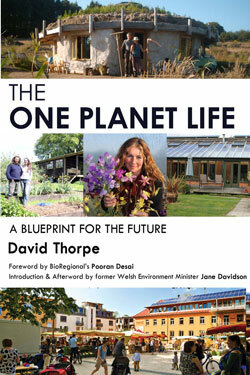 Created by David Stone, it is composed partly of iron dust reclaimed from steel mills and currently sent to landfill. Stone has patented the name Ferrock and formed a company, IronKast, which is in the early stages of commercialising the patent with pilot implementations in marine environments being tested and benchmarked by the University of Arizona. It emits no carbon dioxide during production and, in order to cure it, as with Portland cement, carbon dioxide is required as a catalyst thereby making it carbon negative. When CO2 dissolves into water it forms carbonic acid. If iron dust is present it combines with carbonate molecules and precipitates back out of solution as solid iron carbonate. The resultant material has a greater compressive strength than mortar made with Portland cement. However, because of the limited availability of the iron dust, it will never completely replace all uses of Portland cement. Another substitute for concrete is Hempcrete, which is made from hemp and lime. Hemp, when growing, absorbs atmospheric carbon dioxide. Lime, when applied this way, also absorbs atmospheric carbon dioxide, making the material carbon negative. While not having the structural strength of concrete (its typical compressive strength is around 1MPa, over 20 times lower than low grade concrete and its density is 15 per cent that of traditional concrete), with a k-value of between 0.12 and 0.13 W/mK, it offers some insulation value. It can be used in many situations where concrete is currently used. It is of interest also because of its breathability, which lends it to use with other national building materials to create buildings that have a pleasant internal atmosphere that does not suffer from damp or condensation. Aether is a partnership by Lafarge, a world leader in building materials, with two technical centres, BRE (UK) and the Institute of Ceramics and Building Materials (Poland). Technically, this is a Belite-Calcium Sulfo-Aluminate-Ferrite compound. 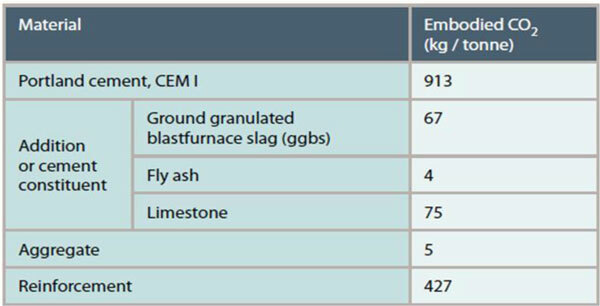 Trials found that Aether generates 20 to 30 per cent less CO2 per tonne of cement than pure Portland cement (CEM (I) type) and had a compressive strength similar to Portland cement. There is a European standard now underway. This is still at the R&D stage however; the key problem is that it hydrates slowly. In terms of embodied CO2 alternative cements are showing good promise, but there is a lack of experience, a lack of codes and standards, and some concerns about raw material availability and about durability. A study of the recent start-up attempts in this area, Towards low-carbon alternatives for OPC, concluded that the technologies are still at an early stage: “High-end cement science using new analytical techniques and modelling is just beginning and marks a methodological breakthrough”. It advocates “collaboration between interested industry partners and basic research institutes and resources for long-term research projects as a necessary precondition for the progress of radical inventions”. This is exactly the approach being taken by LEILAC, a new collaboration between European and Australian partners. 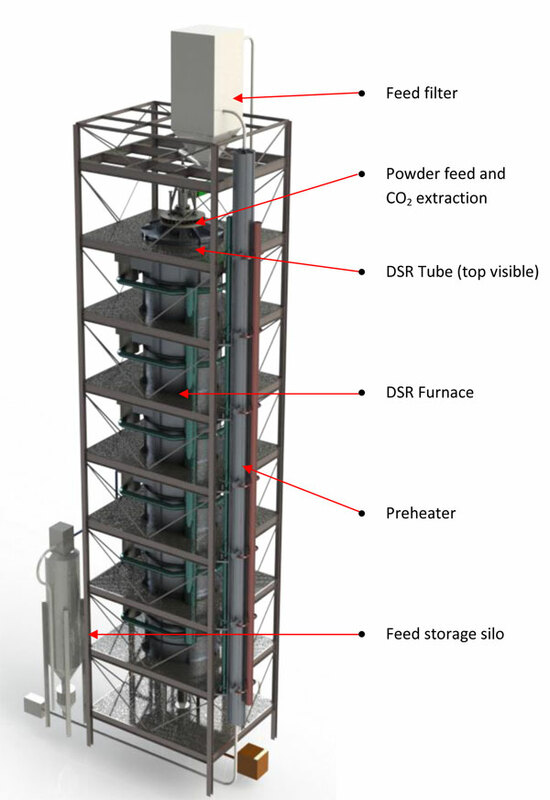 The LEILAC (Low Emissions Intensity Lime And Cement) project is trialling a new type of carbon capture technology called Direct Separation. To this end it is about to build and operate a pilot plant at the HeidelbergCement plant in Lixhe, Belgium. 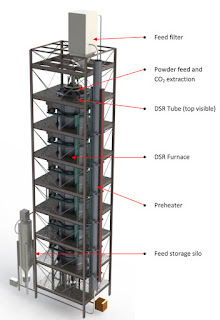 Diagram of the LEILAC (Low Emissions Intensity Lime And Cement) project with carbon capture technology. This aims to capture about 60 per cent of total CO2 emissions from both industries without significant energy or capital penalty, with throughputs of up to 240 tonnes of cement per day and demonstrate that the technology works sufficiently robustly to begin scale-up planning. The technology is already proven at commercial scale for processing magnesite in Australia – a similar ore to limestone, albeit at lower temperatures (760°C versus 950°C exhaust temperatures). The company operating this, Calix, is lead partner in the project. It has already partially calcined limestone, albeit to around 70 per cent in a 22-metre long tube with no pre-heating. It uses the Catalytic Steam Calcination of limestone, dolomite and magnesite for cement and building products. The project has received €12m (AU$17.3m) in grant funding as part of the European Union’s Horizons 2020 program. HeidelbergCement, CEMEX, Tarmac, Lhoist, Amec Foster Wheeler, Calix Limited, ECN, Imperial College, PSE, Quantis, and the Carbon Trust are all working to apply this critical technology to the cement and lime industries. All these partners recognise that the long-term future of the cement and lime industries, which are both vital for many aspects of the European economy, hinge upon a reduction in their CO2 emissions. The separate elements of capture, transport and storage of carbon dioxide have all been demonstrated, but integrating them into a complete CCS process and bringing costs down remains a challenge. There are two large projects currently working in Europe, at Sleipner (operating since 1996) and Snøhvit (operating since 2008), capturing and storing around 1.7 million tonnes of CO2. However, the technology has not been applied to the cement nor lime industries, as traditional methods of capturing the CO2 are either too complex or expensive. The new trial aims to do just this by beginning a full Front End Engineering Design (FEED) phase. Results should be available in 2020. When integrated into new plants, or retrofitted into existing plants that are fired with biomass or by waste combustion, and using current best practice as outlined above, by using “Direct Separation” technology the total CO2 emissions of cement production would be reduced by more than 85 per cent compared to conventional fossil fuel fired lime and cement plants, without significant operating issues, energy or capital penalty. 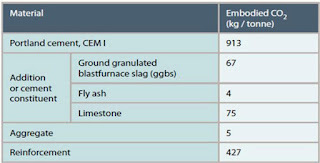 If to this was added the figure of 42 per cent – of greenhouse gas emissions associated with the creation of cement using conventional means that are now known to be absorbed by concrete after its creation – then this would mean that conventional concrete would actually be potentially carbon negative. That is surely a dream worth pursuing.